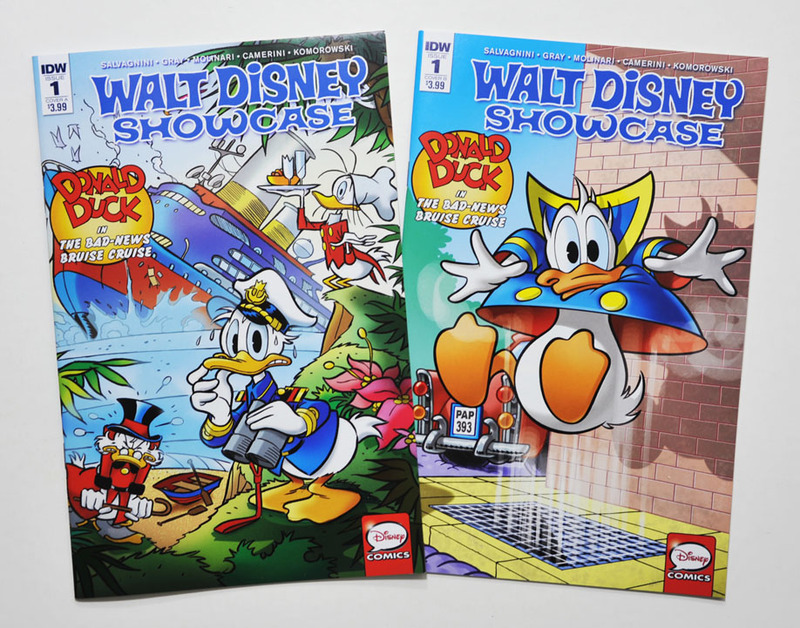 Originally planned for September 2017, the new series Walt Disney Showcase finally hit the shelves in February. From the crosstalk page inside it sounds like the series is going to feature stories that wouldn't be a good fit in the other titles. I'm not sure exactly what this means, but it sounds like good news to me – I like unusual stories! 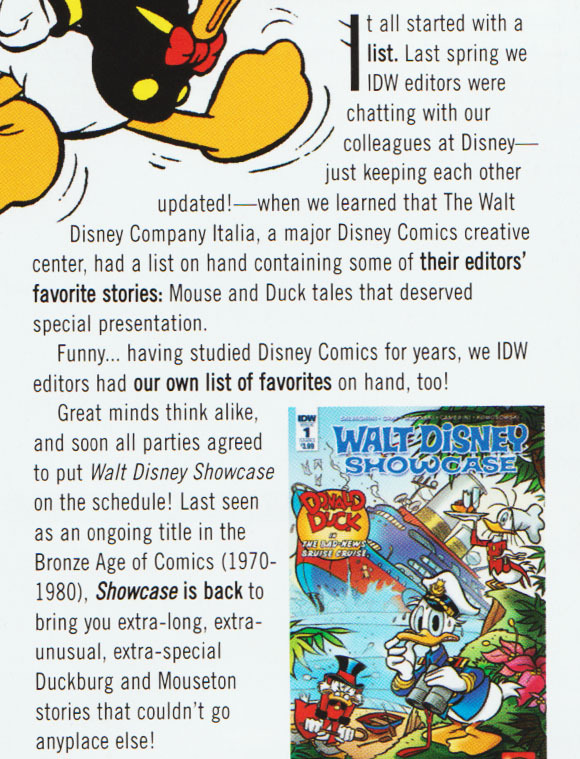 And I miss the Donald Duck and Mickey Mouse titles, so I'm just glad we got a new monthly title in their place. 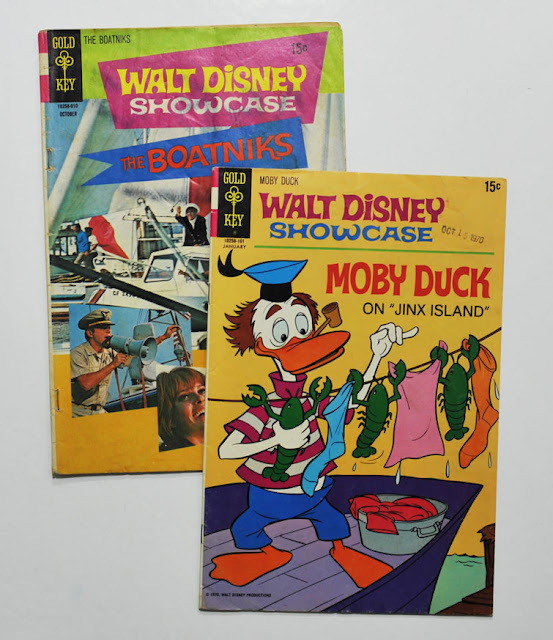 As the crosstalk text say, this is not the first series called Walt Disney Showcase, and the IDW series also reuse the logo from the original 70's series. 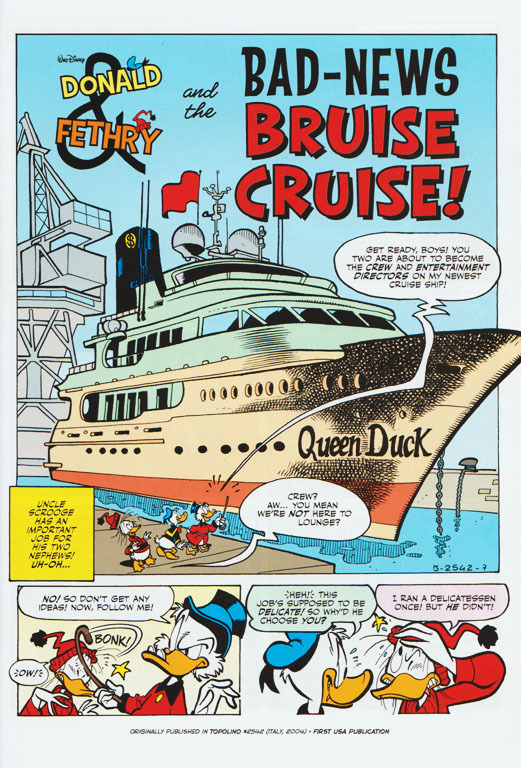 The first issue in the new series features two stories with Donald and Fethrty that could just as well have been printed in Donald Duck or Walt Disney's Comics and Stories I think. But future issues will feature characters like Arizona Goof and we'll also get a new story with McDuck's Intelligence Agency (MIA), as seen in IDW's Donald Duck #9. 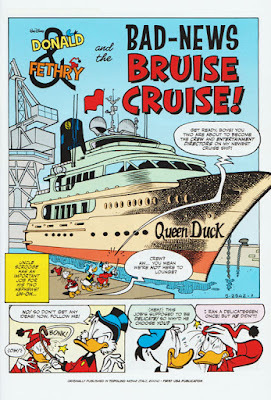 The second story is just a 4 page backup story, but I actually learned something new from it! I had no idea "National cousin's day" was a real thing, and neither did Donald judging by his expression. 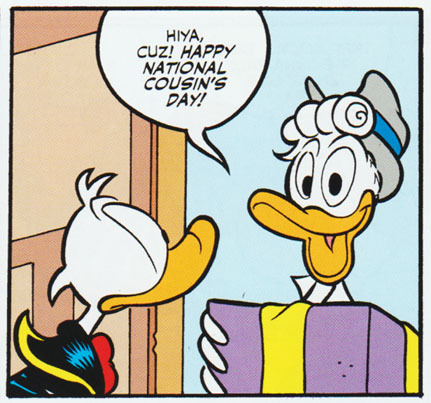 But a quick internet search reveals that July 24th every year apparently is the day to celebrate your cousins.